Novell is said to be selling SUSE and The Wall Street Journal names VMware as the likely buyer. But what are others saying? A quick disclaimer: Novell is my former employer. I left the company at the end of January, and as far as I know the $2 billion offer from Elliott Associates wasn’t even in discussions then. At any rate, I don’t have any inside knowledge (call me, Ian…) so what you’re reading here is pure (if educated) speculation. I don’t have any vested interest in the buyer, except a hope that my former colleagues will land with a company that will treat them well and respect the openSUSE Project. This brings me to the final choice I’m tossing in the hat: VMware. VMware has been buying other open source solutions lately (Zimbra, SpringSource) so it doesn’t seem like a stretch to say that the company might want to add SUSE Linux to its collection. VMware might also want to have a Linux distribution to help its customers and partners build more appliances that will run on VMware’s virtualization products. And a quick mention, since it’s sure to come up — what about Microsoft? This seems terribly unlikely. It’s hard to imagine how Microsoft would get past the antitrust issues, to begin with. I don’t see either Dell or Oracle being in the mix. Dell’s strongest Linux partnerships are with Ubuntu and Red Hat. Oracle already has its own Unbreakable Linux, which is based on Red Hat Enterprise Linux (RHEL). So, what do you think? VMware? HP? Dell? Oracle? None of the above? There are plenty of people who have offered explanations for why Linux thrives anonymously on servers and as Android on smartphones but lags behind on the desktop. Though reasons abound, at least one significant one is a self-inflicted wound: the Terminal Bully. The Terminal Bully is the poster who refuses to offer a respectful and understandable solution to a genuine problem some newcomer has posted on a forum, and instead tries to show off their own knowledge by offering a lengthy and sometimes risky set of commands that only confuse anyone who is not yet familiar with Linux. What Is The Wayland Display Server & Its Protocol? While Kristian Høgsberg is now likely on his way to Toulouse, France for the 2010 X Developers’ Summit, over the past day he has been working on some minor changes to the Wayland Display Server that he has now been working on for a while to leverage the latest Linux graphics technologies like kernel mode-setting and is something we initially reported on back in 2008 when it began. Know about vim? emacs? nano? Bah. You have only scratched the surface. Videoporama (available for Windows and Linux) is an application you can use to create videos (or slideshows – call it what you like) from images. GIMP (GNU Image Manipulation Program) is a powerful and versatile graphics manipulation application that is available for many different OS. GIMP is a standard in Linux, usually part of the standard image on most desktop distros. It is clearly one of the most popular applications in the Linux application catalog, mostly down to its outstanding quality, power and flexibility. 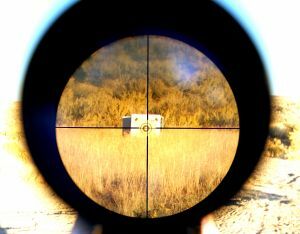 Single Window Mode. An old favorite request from the user community. What’s next ? You guys may ask. It’s been a while since I wanted to talk about this, but there it is, the Flash Player “Square” preview has been posted this morning. - 64-bit releases for all platforms (Linux, MacOS and Windows). Linux Tip: How to Text scrolling off the screen? HP Photosmart C4380 over WiFi problem with HPLIP and CUPS solved! I was hoping it would take longer so my last “contest”/giveaway will make sense – but now everyone can register a trial account and play 10 matches. Applications seem to be working fine and snappy. My previews are even working with dolphin file manager. As reported a few months ago, KDE software has plenty of use among scientists, who may use Plasma workspaces for their daily jobs or develop applications on top of the KDE Platform. One application that builds on the KDE Platform is RKWard. RKWard is an integrated development environment (IDE) for the R programming language, a free implementation of the statistics and math oriented S-plus. Due to the wealth of statistical and mathematical functions and the large number of add-on libraries, R is often the tool of choice for people doing statistics and mathematics in many different fields of science. As R does not come with a GUI on Linux (unlike its Windows counterpart), RKWard provides one and adds a lot of features to ease the job, going beyond the role of a simple front-end. Aaron: I am a member of the global KDE community, and have been for nearly a decade now. Within KDE, I work as a software developer, provide some project and community management services and help provide a public face to the world for KDE by doing presentations at conferences, participating in interviews like this one, etc. I have also served on the board of directors as President of our global non-profit foundation, KDE e.V. Beyond KDE, I live in Canada and have a young and happy family on the Western coast of North America, which provides a wonderful environment for enjoying the outdoors as well as music and food, which are two of my main “vices”. No, I do not want to talk of Linux MINT, but as is practically possible to apply some tricks to make our desktop a bit more nature oriented. In software development, it has become common practice to improve program code, stabilise it in alpha and beta versions, and then release it. The whole process then begins again, while the released version receives small low-risk fixes as patches. Most Linux distributions pursue this strategy to coordinate the software contained within them and test the mixture. A lot of distributors are very careful in maintaining their distributions to keep the complex structure from collapsing when a new distribution is released; instead of providing updates to more recent program versions, between distribution versions they merely send out the changes that patch security holes and correct other major flaws. aptosid is a full featured Debian sid based live CD with a special focus on hard disk installations, a clean upgrade path within sid and additional hardware and software support. The ISO is completely based on Debian sid, enriched and stabilized with aptosid’ own packages and scripts. Gnome desktop, Firefox, Thunderbird, openoffice, pidgin, brasero, The Gimp, Transmission, Rhythmbox, VLC, mplayer, Xchat and Gwibber. We all know that there are passionate partisans of the GNOME and KDE versions of Linux Mint; yet, oddly, you rarely hear about people raving about the Xfce version. That’s a shame, because sometimes less is truly more. Linux Mint 9 Xfce has a lot to offer to those who have limited hardware, or who simply prefer not to deal with the eye-candy bloat of GNOME or KDE. Summary: Linux Mint 9 Xfce is a near-perfect blend of the minimalist advantages of the Xfce desktop environment and the tools/features of Linux Mint. When the new wallpaper landed in maverick, there was a loud outcry as a lot of users were upset with the visual appearance–the Ubuntu 10.04 LTS background with deeper saturation and orange spots added. I did not appreciate it either, although it did grow on me. But I eagerly awaited the revamped wallpaper and it finally landed. They say first impressions count and Maverick has certainly taken that to heed with its redesigned slideshow to play during installation. The Insignia Infocast is a $169 simple media device being sold at Best Buy. Marketed as a way to share photos and run Chumby apps, hackers are starting to release packages to extend its features. Oftentimes, when you hear the arguments for “Why open source?”, they are aimed at convincing companies to use open source software. But the other piece of the argument is, of course, an argument for why your company should build open source – why it should develop its technology in a community-driven, open sourced way. Open source, helping the children of the future. Fortunately open source software has reached the point where it has become mainstream. Companies are buying other companies purely for their open source components. Other open source programs are extremely popular and grabberments, educational institutions and more businesses than ever before are seriously considering or using open source software. However, you may be thinking, what does this have to do with our children? What’s next for Firefox on Linux? Growth over the last year has been static, and things are about to get worse. A competing open source browser has been able to go from zero to 7% market share, and doesn’t show any sign of slowing down. It is not quite ready for primetime, but with the announcement of OpenIndiana, a so-called spork of Oracle’s OpenSolaris Unix distribution, the server world is getting a familiar, re-opened, and community-developed operating system aimed specifically at data center workloads. Alasdair Lumsden owns a hosting company in London called EveryCity Managed Hosting, and his customers are deployed on Solaris 10, which was made freely available with security patches when it was announced nearly six years ago by Sun Microsystems. The company has 50 servers supporting 250 Solaris containers – not exactly a hyperscale customer by some standards – but Lumsden has been an enthusiastic supporter of the OpenSolaris project and did his part in the community as he built a business running Solaris on x64 servers. Is Oracle poised to effectively end open source software? The preferable approach, and the safest approach, to protecting innovation in the field of software development from the chilling effects of patent claims will always be to eliminate the dangerous practice of software patents altogether. It is important to oppose software patents at every turn, and for those of us in the United States to try to get the USPTO to stop issuing patents for software, if you care about healthy innovation in the software industry in general and open source software in particular. Best Buy, one of the biggest retailers of consumer electronics in the United States is using Drupal for their mobile magazine website: http://www.bestbuymobile.com/. Best Buy earns 50 billion USD in revenues and has over 180,000 employees. Needless to say, this is a big enterprise adopting Drupal. Deleted Twitter, Facebook, LinkedIn Accounts! I kept my account on identi.ca, the open source version of Twitter. When there are Open Source solutions for the broader problem of social networking, I’ll install them. Will Librarians Leave Facebook for Diaspora? Librarians uncomfortable with the erosion of privacy on Facebook can now turn to a new social network called Diaspora, a personal Web server that stores shared information securely. E-tax is software provided by the Australian Taxation Office to conduct tax returns online. The office has been under fire for a number of years for not making a version of the software function on Linux or Apple Mac systems. However, this wasn’t the reason Stallman called the product “unjust”. His reasoning for this term was that it is not “free” software. Stallman feels strongly about freedom and wanted to be very clear on the distinction between free software and open source. Kaltura, the world’s first open-source video platform, has developed one such library available at www.html5video.org and has created an industry resource to involve developers. Provide people cheap access to clean water and you could save billions of lives. South Africa may use tea bags to do just that. Researchers at Stellenbosch University’s Water Institute have developed a new water filtration system that uses activated carbon and nanofibers to quickly filter out pathogens. The carbon and nanofibers are placed in common tea bags and then fitted into a bottle. Fill the bottle with dubious water, install a filter, and drink. It’s that easy. According to SciDev Net, the ultimate price for these ‘tea bag’ nanfiber filters will be around half a cent (USD) each and be able to handle around 1 L before being replaced. A super cheap, portable, easy to use system to purify water? Sounds amazing. Watch developer (and SU dean) Eugene Cloete describe the project in the video below. You know a scientist believes in a product when he’s willing to test it on himself in front of a camera. The ACLU of Northern California (ACLU-NC) and the Electronic Frontier Foundation (EFF) are calling for answers to critical privacy and safety questions that loom over a controversial federal program to track preschoolers with radio frequency identification (RFID) chips at George Miller III Head Start program in Richmond, California. In an open letter to the U.S. Department of Health and Human Services and the Contra Costa County Employment and Human Services Department, ACLU-NC and EFF are asking officials to disclose what technical and security measures are used by the system to safeguard the privacy and safety of preschoolers, as well as what data is collected, how long it is retained, and who has access to the information. The letter also calls on officials to publicly address why and how the government decided to track Head Start students, and if the government plans to expand such tracking. THE SCO case is not entirely over (not just yet) and SCO may be faking its financial situation, using bankruptcy as an instrument. What Did SCO Pay Maureen O’Gara For? The short story is that O’Gara worked closely with enemies of Groklaw and then stalked, harassed, and smeared opposition such as Groklaw’s editor. People are also daemoning Techrights for obvious reasons; those who daemonise include the Mono and Moonlight boosters, who are often Novell employees. In general, smears arrive from anonymous Novell employees (inside the Web site and outside it too) and Microsoft AstroTurfers on the company’s payroll. We wrote many posts about that last year, so now we just stick to the subject and totally ignore trolls and agitators. They prey on attention after all and they can cause distraction if paid attention to much of the time. We kindly ask readers not to feed those trolls, either. It would be counter-productive. The day opens with the discussion about her video deposition. The judge says he’s ready to rule on it. The lawyers are allowed to speak, but he’s decided to let the parts SCO objected to be played for the jury. From what is said, it’s clear that SCO wanted to remove any reference to Groklaw. SCO’s lawyer says that his concern is that the jury will get curious and come and visit. But the judge has more confidence in the jury than SCO does. He’s told them not to read about the case, he points out, and they’ve been good, and when playing the video, they are making sure that the reference in the scrolling text says Groklaw, not Groklaw.com, so chances are they’ve never heard of it and won’t even know it’s on the Internet. By the way, it’s never been Groklaw.com. 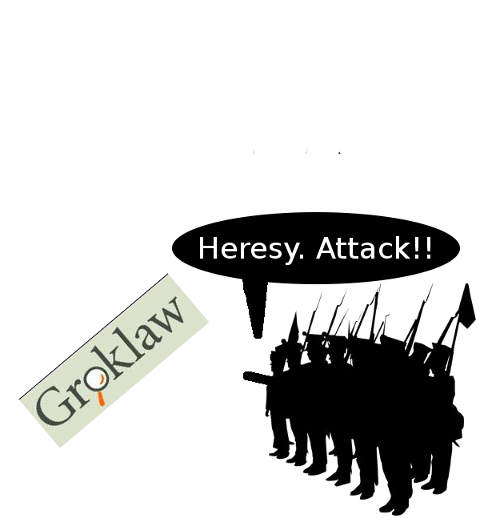 It’s Groklaw.net. I own both domains, but Groklaw.com has never been used for anything. I got it because I didn’t want anyone else to use it. But when did SCO ever care about facts with specificity? SCO says the danger is that if you Google for SCO, up pops Groklaw. But the jury has been told not to do that, so that’s that. I mean, I have found that logic isn’t SCO’s strong point, but if the jury went to Google and typed in SCO, whether or not I was mentioned in the trial, they’d still get to me and pretty much every other news outlet in the world. So the issue is obedience to instructions, not what might occur if the jury disobeys. So that’s what SCO didn’t want the jury to hear. Can you blame them for not wanting their role highlighted to the world? Not only does it undermine Ms. O’Gara’s testimony by showing her up as a member of the SCO team, so to speak, not an independent journalist, but it makes SCO look terrible, willing to arrange for a journalist covering their litigation to be harmed for no good reason, except that SCO wanted me to be harmed, to damage my credibility and smear my good name. It’s an admission of an abnormal relationship with a journalist, such that their PR executive felt able to make a request like that. I’d so love to read the rest of that email. Someday, maybe. It explains why she was always so nasty when writing about me, I guess, which puzzled me at the time, since I’d never met her or had any dealings with her in any fashion. And I can’t help but wonder why SCO listed her on its bankruptcy as being a creditor. Why would SCO owe her $10,000? Perhaps she was asked about that in parts of the deposition we didn’t get to see in public. Not that I’d mind if she got stiffed for this piece of commissioned work, as I view it. One does enjoy when the universe is balanced. That’s rare in the SCO universe, so it makes it especially satisfying when it happens. All right. Just kidding around. Oh, and I can speak with some authority on this next point. I am the *actual* author of Groklaw. And I’m very proud of my work, which is probably more than some journalists can say. One reason I am proud of my work is because no one has ever sent me an email like that. No one tells me what to write. No one pays me to write what they want written. That has never happened in the history of Groklaw. And I have never sent a deliberate jab anyone’s way, either, on commission or on my own initiative, just to be mean. I’ve never tried to harm anyone or undermine their credibility unjustly. And speaking of balance in the universe, the end result of their calculated cruelty was that Ms. O’Gara’s credibility as a witness was seriously undermined. Novell was able to use that incident to demonstrate that her testimony was not believable, since she was not independent but rather a SCO ally willing to do something that probably not a single juror would ever consider doing to anyone ever. So while, all things considered, I’d have preferred to skip that event, the jab they sent my way ended up boomeranging right back at them. Funny how life works out sometimes. The SCO Group is asking a federal judge to order Novell Inc. to turn copyrights to the Unix computer operating system over to SCO despite a jury verdict that said a 1995 sales agreement did not include those assets. Lindon-based SCO told U.S. District Judge Ted Stewart that the jury did not address the issue that he is to decide when it reached its verdict March 30 in the long-running legal battle over the ownership of software that is used by many businesses. In other news, one of the many satellites of Intellectual Ventures (or several of them) is collecting tolls using patents from the super-troll, Nathan Myhrvold (Microsoft's patent troll). As the press is still falling for the silly story that Intellectual Ventures is some sort of benevolent invention factory, it’s worth remembering that the company has yet to actually invent anything that has come to market, and while it has avoided suing anyone directly, patents from IV are showing up in more and more lawsuits of dubious nature. We first saw a “former” IV patent show up in a lawsuit a year ago. Since then, we’ve also seen IV “sell” patents to some of its “customers” for use in lawsuits, such as with Verizon and Vlingo. And now they’re showing up even more. Joe Mullin points us to the news that a newly formed patent hoarding company, Oasis Research, which appears to be part of the patent hoarding operation set up by big name patent-attorney-turned-patent-hoarder, John Desmaris, has sued 16 companies, including AT&T, GoDaddy and IronMountain for infringing on a former IV patent having to do with “cloud” storage and online backup. The patents in question are 5,771,354; 5,901,228; 6,411,943; and 7,080,051. For all of Intellectual Ventures talk about not suing companies and actually being an invention factory, it’s looking very much like the only thing it’s unleashed on the world are some amazingly wasteful patent lawsuits on ridiculously over-broad patents that are creating serious waste in the market. And, even if the company really has no part in these lawsuits, it doesn’t change the fact that it’s adding to the list of ridiculous patent lawsuits by letting those kinds of patents get into the hands of people who file them. The original report can be found here (Joe Mullin). 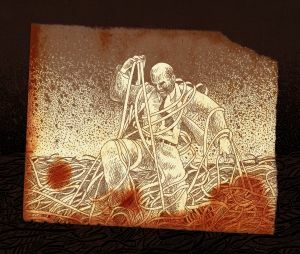 The attackers behind the recent Stuxnet worm attack used four different zero-day security vulnerabilities to burrow into — and spread around — Microsoft’s Windows operating system, according to a startling disclosure from the world’s largest software maker. But improvements in the Windows operating system – and Apple and Linux’s long-standing built-in defenses – have some wondering if consumers still need to add an anti-virus program to their computers. The answer differs, depending on who you talk to. Linux-based systems, however, tend to have a much higher level of built-in security, as most Web servers run on Linux. Open Clouds: Tilting at Windmills? Will the clouds save Novell in a way that Linux has not yet done? The company certainly hopes so. Today, the company is kicking out its Cloud Manager tool, which has been under development for more than a year. NOVELL’S market position has been weakening for years and its market cap falling to dangerous levels. News sources say that Novell is about to be acquired and it’s primarily one source that all the reports rely on. “Why would Novell announce sale in 6 weeks,” gnufreex asked. “You announce deal when it is done… And when it is definitive… They are just trying to pump stock… They have nothing.” Agent Smith” wrote: “Novell being sold in parts. What will become of OpenSuse ?? ?” (more details in the IRC logs we’ll publish later). We’ll come to this in just a moment. Commercial operating system maker Novell is close to selling itself off after breaking it into two bits, according to the is New York Post. Citing unnamed sources, the Post says a “strategic buyer” will shell out cash to acquire the SUSE Linux business that Novell paid $210m for in November 2003. That Linux business has just finally made it to break-even, according to Novell, and will by our estimates generate maybe $145m in revenues in fiscal 2010. (Novell brought in $108.2m in Linux platform sales in the first nine months of fiscal 2010 ended in July). The New York Post, citing unnamed sources, said the struggling business software maker plans to sell the company to a “strategic buyer” and a private equity firm. Financial news from prior days indicated problems for Novell [1, 2, 3], but not everything was pessimistic [1, 2]. People still send us messages asking something along the lines of, “what about OpenSUSE?” The project should take a lesson from OpenSolaris and take action before Novell (or its acquiror) does. We urged OpenSUSE people to fork and escape the relationship with Novell, which may no longer exist very soon. What happens to Mono and Moonlight? Maybe Microsoft can have them (no, it’s not a joke). The LWN discussion had just one comment at the time of writing and it said: “The WallStreet Journal has the rumour that the buyer of the GNU/Linux part might be VMware Inc.
“I don’t know much about VMWare Inc., but at first glance they seem ok. Not too likely to pull an Oracle. Some people might be surprised to hear that that vCD is based on RHEL v5 U4 and not on Novell SUSE. You might know that VMware recently decided to standardize on Novell SUSE for all its virtual appliances, and an OEM deal was struck between the two companies. The operative word here is “recently.” Sadly, the deal was struck at such a time that VMware could not use Novell SUSE for vCD. Merely from a standardization perspective, I would like to see that change at the next release of the product, but I think we will have to wait for the vCD 2.0 offering before that transpires. At around 3:50 of the following video the same subject gets covered.